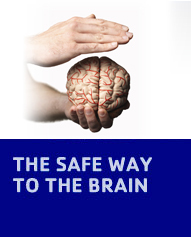 BBB Therapeutics is developing medicines for the treatment of devastating brain diseases. Our proprietary liposomal G-Technology® facilitates entry to the brain while simultaneously enabling sustained delivery of systemically administered therapeutics. Our technology has been shown to be compatible with approved as well as novel therapeutic entities. We have two clinical programs, one targeting multiple indications of brain cancers and the other neuroinflammatory diseases. 2015, Jan 26: BBB Therapeutics filed for bankruptcy; Mr. M. Udink of Udink & De Jong (www.udink.nl) appointed as administrator.